PhotoScissors interactive cutout tool for foreground segmentation enables new smart ways of removing backgrounds from still images. 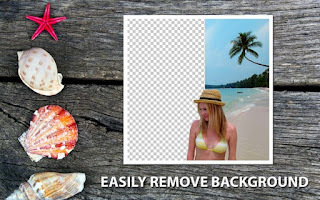 PhotoScissors saves the day when you quickly need to cut out a person or an object to paste it to another picture, or to remove background from a photo. You don’t need any specific skills or professional software for a perfect image clip: few mouse strokes produce an accurate clipping path that can be further enhanced with fine brushes.